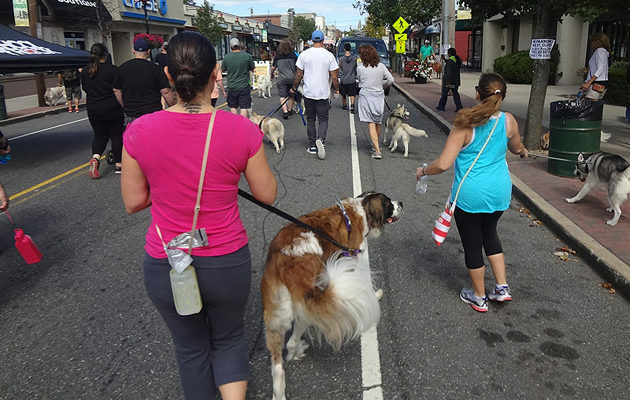 LONG ISLAND, NY – Main Street in Farmingdale recently went to the dogs – quite literally – as dozens of people walked their pooches through the streets en masse to raise awareness and money for the Leukemia and Lymphoma Society of America. Headed up by the Empire State Snow Dog Club, the walk comprised of about 100 dogs and their respective owners. Given the theme of the Club, a vast majority of the canines present were Huskies, but dogs of any type were more than welcome to join in on the fun, according to the Club’s President, Plainview resident Jodi Ekberg. 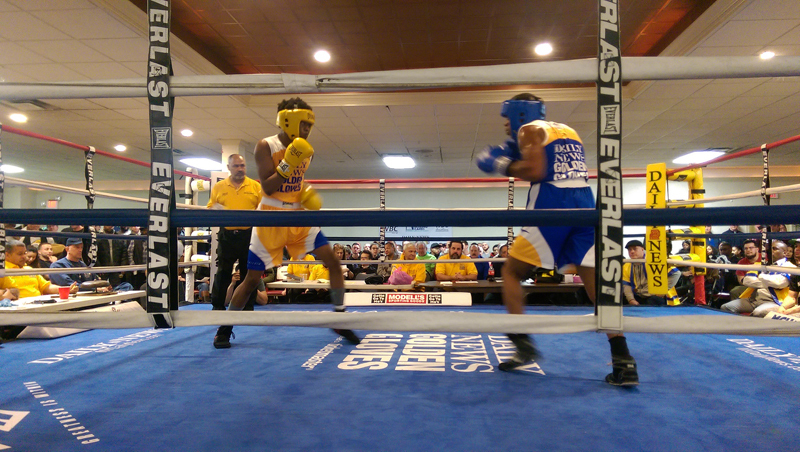 Participants in the 1.2 mile walk were not charged to do so; instead, Ekberg noted, they were encouraged to get sponsors to donate money towards the cause. Last year’s walk generated approximately $3,500, but this time around she said they’re hoping to hit as much as $10,000. The walk took them from the Village Green, along Main Street – the majority of the route made easier by the fact that part of it was closed to motor traffic – and down to Northside School, where, after a brief water break for both two and four-legged participants, the group returned to the Village Green for lunch. Empire State Snow Dog Club member Maryann Lockwood of Ronkonkoma had her two Huskies, Keiko and Pooka, leashed, at the ready, and waiting to begin their charitable trek through the streets of Farmingdale. Ekberg said that she and the members of her Club always go out of their way to help their fellow man and dog; however, she said that she’s been pushing with extra vigor to make this year’s Farmingdale walk a huge success for reasons that was very personal to her.